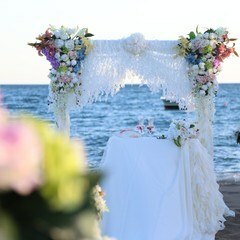 Our friendship with the couples who want to get married in Antalya starts when they reach us via our web page. 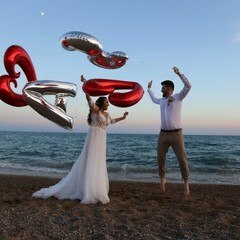 We send our special wedding packages and the most beautiful venues of the most luxurious hotels’ to the wedding couples who reach us via our web page. 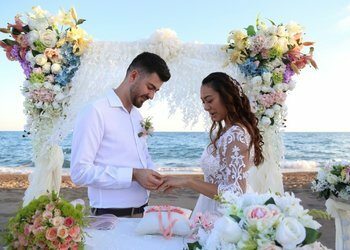 I and my Wedding City Antalya team can be considered very lucky as these ordinary beginnings turn into very good friendships. 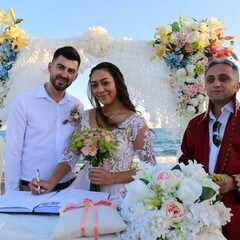 Our bride is from New Zealand, I am calling her our bride as our groom Sinan is Turkish. 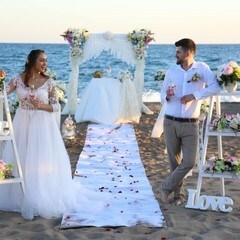 Our friendship with Anita and Sinan evolved with our corresponding after their application to us via e-mail and soon the marriage day had arrived. 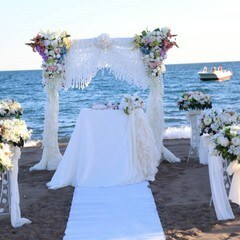 Our groom Sinan came from Istanbul and our bride Anita came from Dubai to Antalya. We have started document preparations. During document preparations, dear Sinan became a part of our lives as a real family. It was impossible not to love Sinan. He is smart, cultured, incredibly polite and handsome Turkish man. 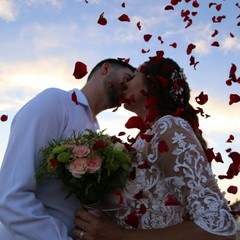 I have met with Anita who was looking like a princess in her wedding dress on marriage day. I can not say that I am not impressed. She fascinated me with her elegant wedding dress. Her off-white wedding dress which is designed exclusively for her in China was so coherent with her brunette type. This made the dress even more meaningful. 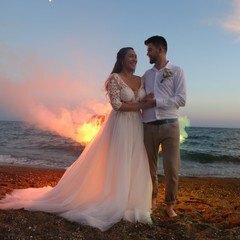 I believe that if the wedding dress designers could see the wedding dress on Anita, they would be very happy. 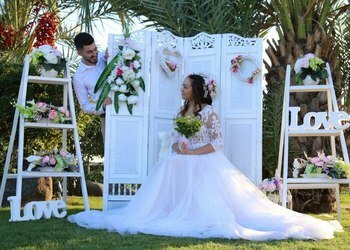 We have organized legal marriage ceremonies for the wedding groups from almost all around the world, however, it was the first time for us to organize a legal marriage ceremony of a beautiful young lady from New Zealand and a handsome young Turkish man. 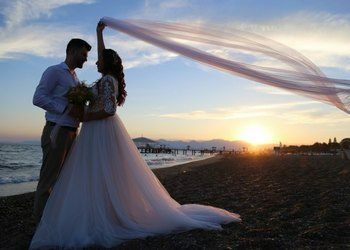 Sunsets are gorgeous on September in Antalya. 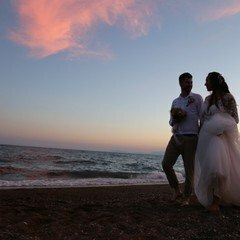 The most beautiful image photos that we had taken were the ones during sunset on the Limak Lara Kundu Hotel's beach. Moreover, the natural photos which were taken on the green area in front of the photo booth were also incredible. 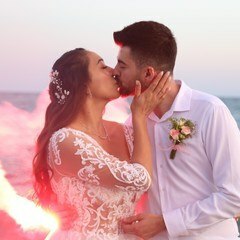 Both Anita and Sinan was very cheerful in front of the photo booth and these feelings can be felt from the photos also. I believe that you will feel the same when you see the photos. 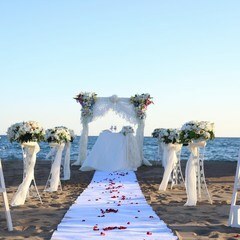 to had the chance to give special service for you on your very special day. We wish you a life full of health, happiness and full with love. 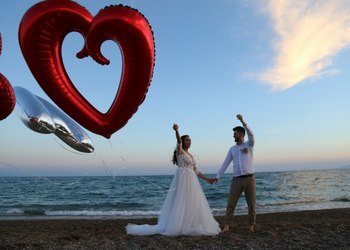 We also want to thank you for preferring and trusting our company Wedding City Antalya.